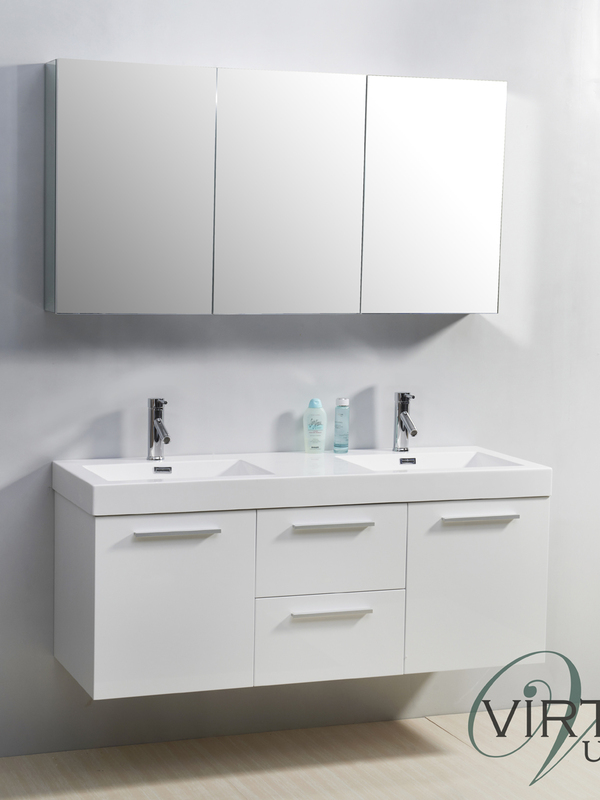 Simplicity goes a long way when it comes to the 54" Midori Double Sink Vanity. 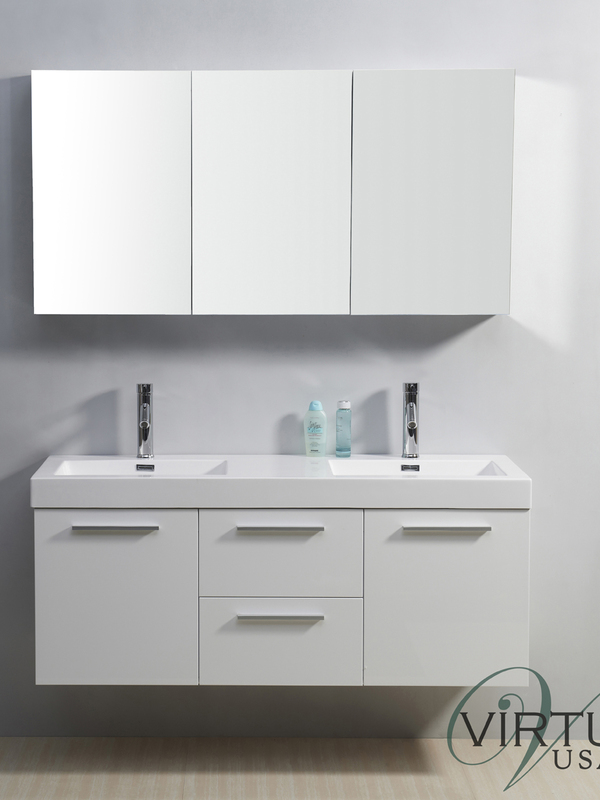 This vanity is constructed from plywood and composite with a melamine finish that's designed to be water resistant. 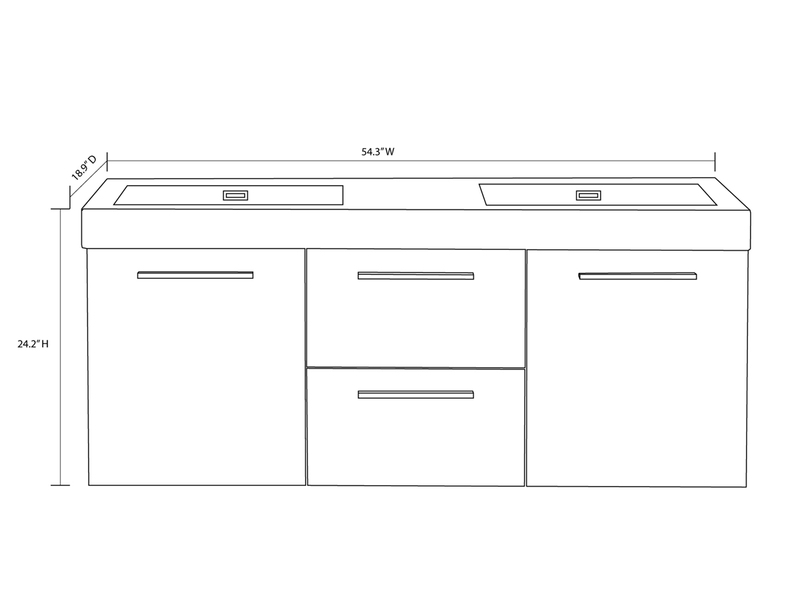 Its cabinet features two single-door cabinets and two functional drawers, all of which have been equipped with BLUM soft-closing hinges and glides. 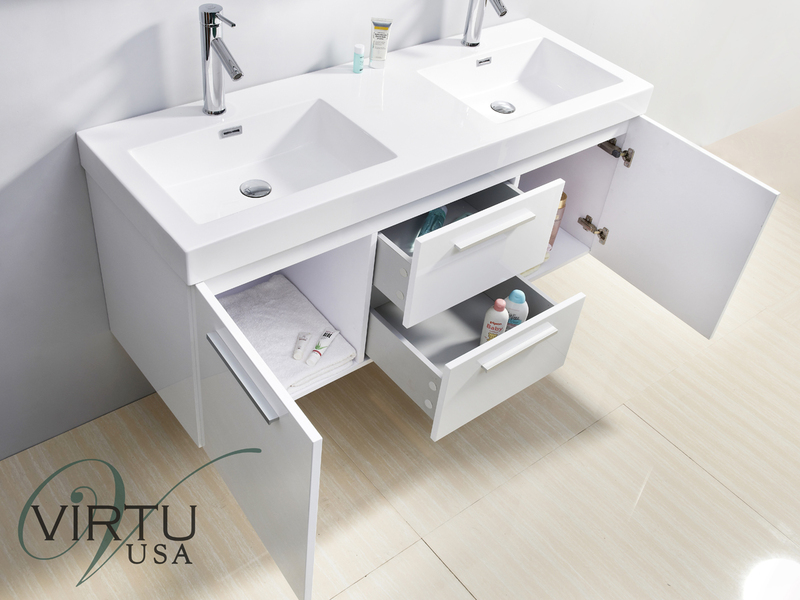 Each cabinet and drawer front is adorned with a Satin Nickel hardware for easy access. 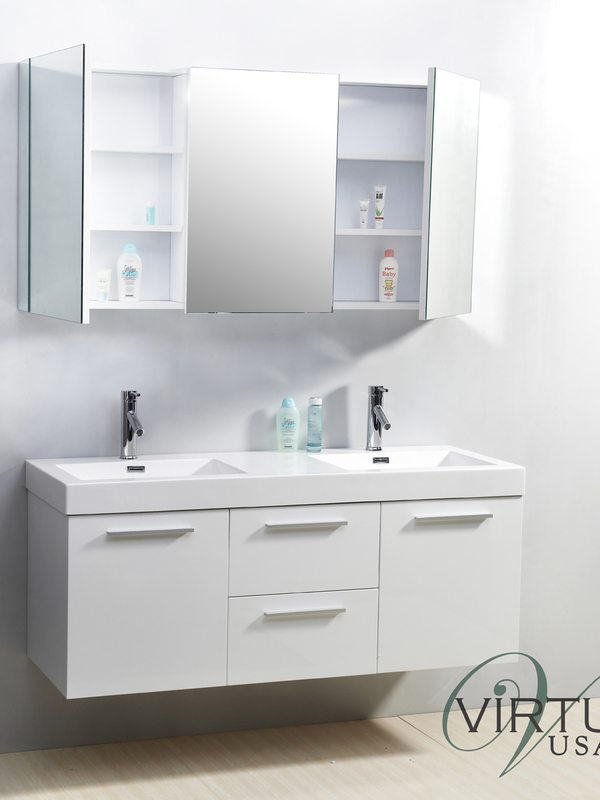 This wall-mounted vanity also boasts a unique polymarble integrated sink top that's designed to be maintenance free and comes complete with two single-hole Chrome faucets.